One of my favorite Canadian adventures was an assignment I had for Backpacker magazine and later, The Boston Globe, to backpack the Long Range Traverse in Newfoundland’s Gros Morne National Park. Led by Bob Hicks, owner of Gros Morne Adventures, the 4-day trek took us to spine-tingling vistas of landlocked fjords and atop snowcapped peaks where the caribou and moose far outnumber other backpackers. An equally impressive backpacking excursion is along one of the last stretches of wilderness on the Atlantic Seaboard in New Brunswick. 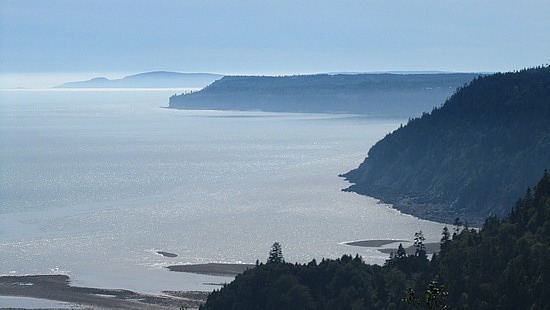 Overlooking the Bay of Fundy, the Fundy Footpath is a moderate to strenuous 24-mile trek that crosses a river, skirts the beach, and goes up and down a dozen or so ravines, rewarding backpackers with breathtaking views of the rugged shoreline. Camping at primitive sites, moose, caribou, and bald eagle are common sightings. Steve Jermanok As a columnist for National Geographic Adventure, adventure travel expert at Budget Travel, and regular contributor on outdoor recreation for Outside, Men’s Journal, Health, and Sierra, Steve Jermanok has written more than 1,000 articles on the outdoors. He’s also authored or co-authored 11 books, including Outside Magazine’s Adventure Guide to New England and Men’s Journal’s The Great Life. His latest book is Go Now! Put Your Life on Pause and See the World, due out late 2010. He’s currently an adventure travel expert at Away.com and blogs daily at Active Travels.